You may not think that the Tom Hardy-starring superhero flick Venom is targeted towards the same demographic as Bradley Cooper's Lady Gaga-starring drama A Star Is Born, but that isn't stopping Gaga's legion of fans from trying to make sure the latter triumphs at the box office this weekend. According to BuzzFeed, stans of the Joanne singer — or little monsters, as they're known — have been accused of writing (or copying and pasting) and disseminating negative Venom reviews in an attempt to help A Star Is Born take in more money on opening day (October 5). It's not an outlandish claim, either, given the fandom's history of picking fights with other fandoms. User @LGMonster95 admitted that there was a coordinated effort amongst the little monsters to trash Venom, and that they've once again implemented a tactic of creating avatars akin to middle-aged, middle America, mom types. Just got back from seeing #Venom in theatre .. So disappointed. Lots of democrat nonsense, pushing LGBT agenda down throat too. Disgusted. I can't believe I am saying this but I might have to take the kids to see #AStarIsBorn tomorrow to make up for the terrible night. Very sad..
Oh dear! #Venom was so BAD! I can't believe I actually took time to see it, I mean it was free, so luckily I didn't have to pay for such bad acting! Looks like my daughter is taking me to go see #AStarIsBorn with Lady GaGa and Bradley Cooper to cheer me up! Unfortunately, since the Gaga bots have been outed, the plan seems to be backfiring and only getting Venom fans even more riled up and ready to watch the Spider-Man franchise spinoff. 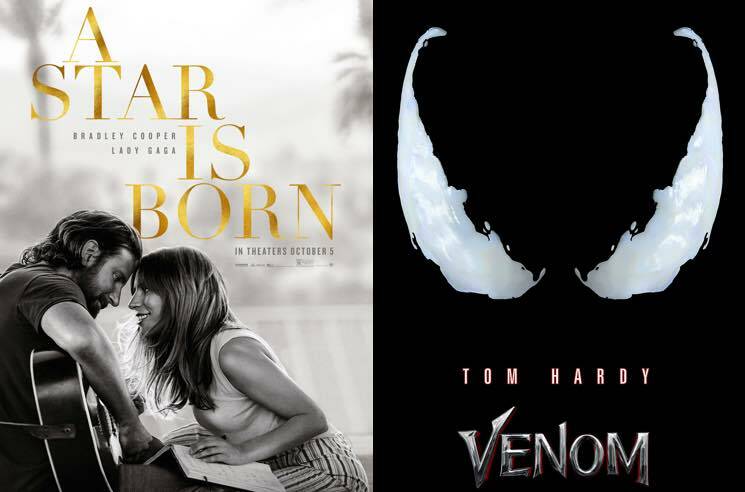 If you're still unsure where your movie money will be better spent, watch the trailers for both Venom and A Star Is Born below and make up your own mind. Both arrive in theatres on October 5.